I was shopping with my mom and had this thrift store score! 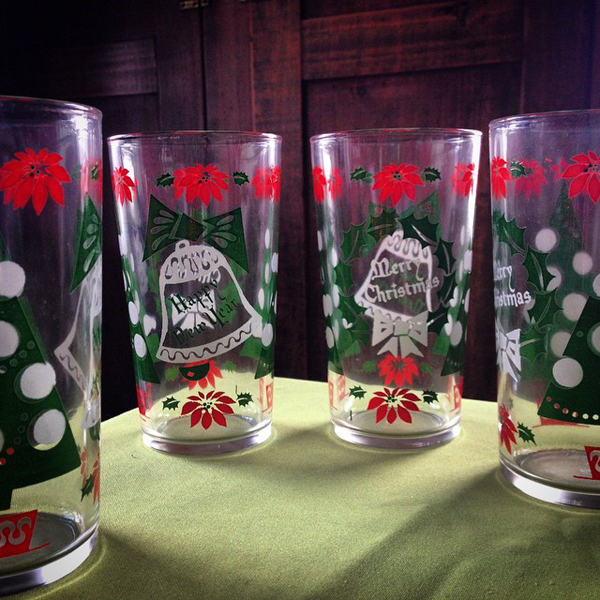 Four hefty Christmas glasses for only 25 cents each! I love them!